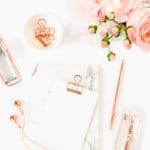 If you love office supplies as much as we do, you’ll love this list to browse for your favorite monogrammed stationery and don’t forget a pink stapler! 1. Quill is based in the US and is one of the largest retailers of office supplies by mail-order. Every office supply you may need can be found on the store site including office furniture. 2. Office Depot is a well-known supplier of office products around the world. With their online shop up and running, you can now get what you need without driving to an Office Depot store. 3. The Green Office sells office supplies and equipment like computer hardware, paper, and even furniture. 4. Concord Supplies is focused on selling inks and toners, some office supplies, and a wide selection of furniture and technologies. 5. Mead is where you can find notebooks, papers, and even school supplies. Mead has been selling these products for years and you probably have used them already at some point in your life. Their customers are usually parents, teachers, and students but an office worker may also find the shop a perfect place to buy stationery, calendars, notebooks, planners/organizers, and many other supplies. 6. Best Buy. We hear this name all the time, right? Best Buy is known for its business and consumer electronics but it also sells other office and school supplies. You will find that they also offer office equipment at their online shop too. 7. Walmart is a well-known retailer because of its great branding and great products. You can find almost anything you want to buy at Walmart. 8. Shoplet gives you an opportunity to buy office supplies that you can’t find in other shops online. It is a very convenient store for office workers. 9. 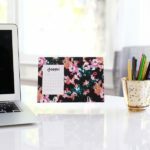 Poppin is another perfect site to shop for all your office needs and we LOVE their motto of working happy! 10. Rifle Paper Co. is for you if you are looking for personalized stationery or nicely designed notebooks. You can also find calendars and planners for your office needs too.